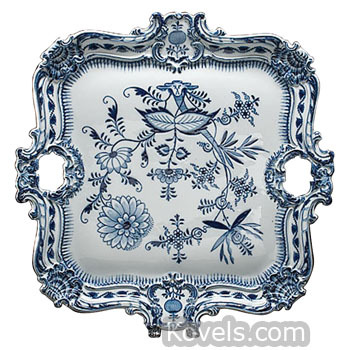 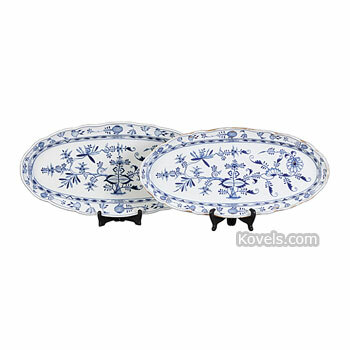 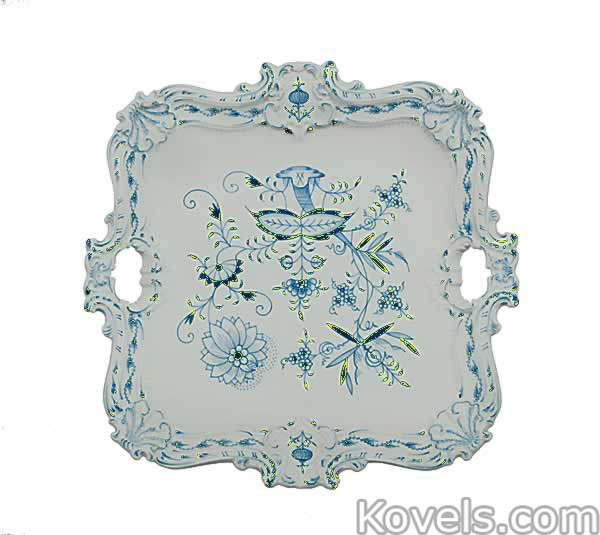 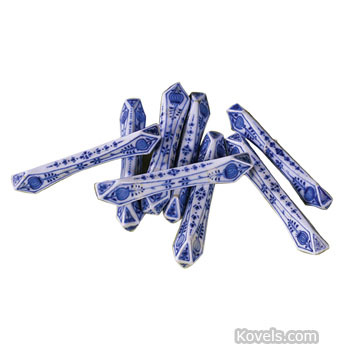 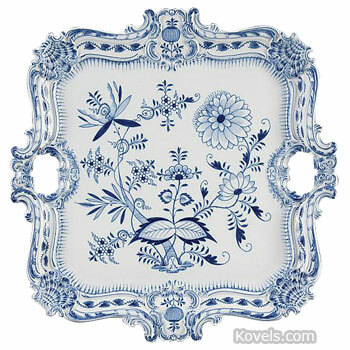 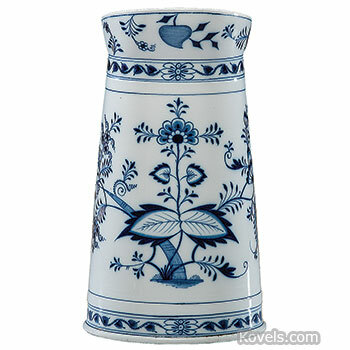 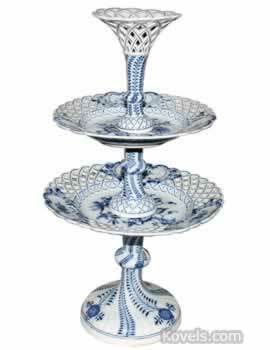 Onion pattern, originally named bulb pattern, is a white ware decorated with cobalt blue or pink. 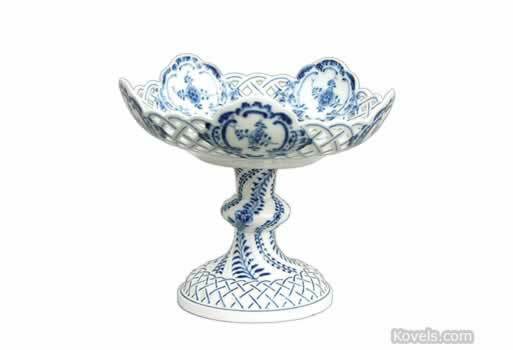 Although it is commonly associated with Meissen, other companies made the pattern in the late nineteenth and the twentieth centuries. 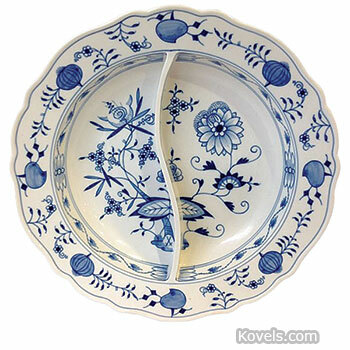 A rare type is called red bud because there are added red accents on the blue-and-white dishes. 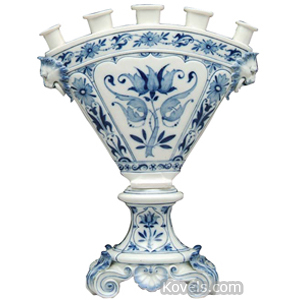 The bulbs on the onion pattern were actually peaches or pomegranates copied from the original Chinese model, but the collectors called them onions.